Larger companies tend to use the INSIDE approach. This consists of large internal staffs that wait to be approached by investment bankers while sifting through potential ideas that are submitted on the corporate website. The second approach is taken by companies with limited staff that actively seek out opportunities based on a developed list of strategic targets. They tend to engage outside resources with significant contacts to augment their internal business development team. I call this the OUTSIDE approach. The unintended problem with the INSIDE approach is that the focus becomes one of screening and rejecting opportunities based on a corporate checklist of strategic fit and financials. It is my opinion that this approach is constrictive and negative by its very nature; not at all proactive. It tends to lead to larger but less effective staffing of business development groups. The OUTSIDE approach is far more positive and can lead to a greater depth of unique opportunities. It’s a “let’s find it and go get it” approach. Companies that employ this approach find themselves is fewer "bid” situations thereby avoiding the potential for higher acquisition costs. This can also be accomplished with smaller staffs and employing outside resources for specific projects. A balance of these approaches works best. While not a typical avenue, strong emphasis on the OUTSIDE approach should always be considered and not merely discounted because of surplus headcount. In order for this to work most effectively management must be aware of the different skill sets required. The INSIDE group concentration should be more strategic and financial and the OUTSIDE group more creative and relationship oriented. Please send any comments to: rfreisheim@tridentgroup2.com or visit our website:tridentgroup2.com. One of the most overused phrases in the business language is "STRATEGIC PLANNING". Companies spend days and even months developing these plans. Unfortunately, these plans become "dead" documents ending up as place keepers in corporate files. The problem is that most of these grand plans have no chance of success for several reasons. THEY ARE CREATED TO ACHIEVE MANAGEMENT BUY-IN. The goal should be to grow the company but is, more often than not, an attempt to please the "boss". It is clear that management has the final say in the approval of a strategic plan. However, if management is not receptive to innovative ideas and has a pre-conceived concept of what the plan should be, it is detrimental to the process. These two ideas are often in opposition to each other. This flaw is too often "baked in the cake". THEIR CREATION IS THE GOAL. Strategic plans are obligations that need to be submitted by a certain date as part of the team's objectives. The common error occurs when that completion is viewed as a positive end to the process; albeit a tedious one. All too often the understanding is, "We are done! Let's put is away for another year.". Strategic plans tend to have four walls and a roof. 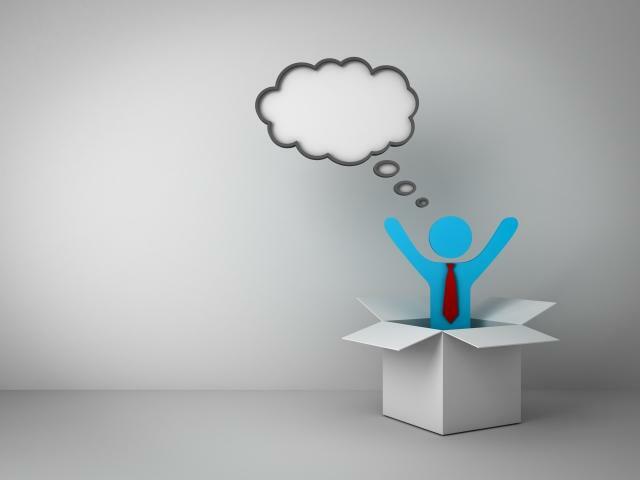 Once the company is inside the "box", no one wants to hear ideas that fall outside those parameters. The biggest buzz killer are the words "that idea is outside of our strategy" without taking the time to explore the idea. The "box" becomes a "trap" where ideas go to die. THEY CREATE UNREALISTIC EXPECTATIONS WHICH ARE IMPOSSIBLE TO EXECUTE. KEEP IT REAL. Unrealistic dreams become a nightmare to explain when they fail. Make sure that you have sound ideas about achieving the strategic elements. THEY ARE STATIC BY THEIR NATURE. Strategic plans are not living documents. Nothing hurts a company more than an out-of-date strategy and the lack of ability to change before it is too late. Know your company's past strategies and learn from them.If partnering with an outside business development firm, share this with them as well so to more efficiently benefit from their resources. Create a future that adds on the successes of the past. Be aware of the ability to execute against the plan and potential difficulties. Reach, but do it realistically. Make it a living strategy, with room for timely review and changes. Leave room for creative "wandering". Consider key check points for revisions if execution is stalled or has not occurred successfully. For more insights contact Trident Group LLC today.